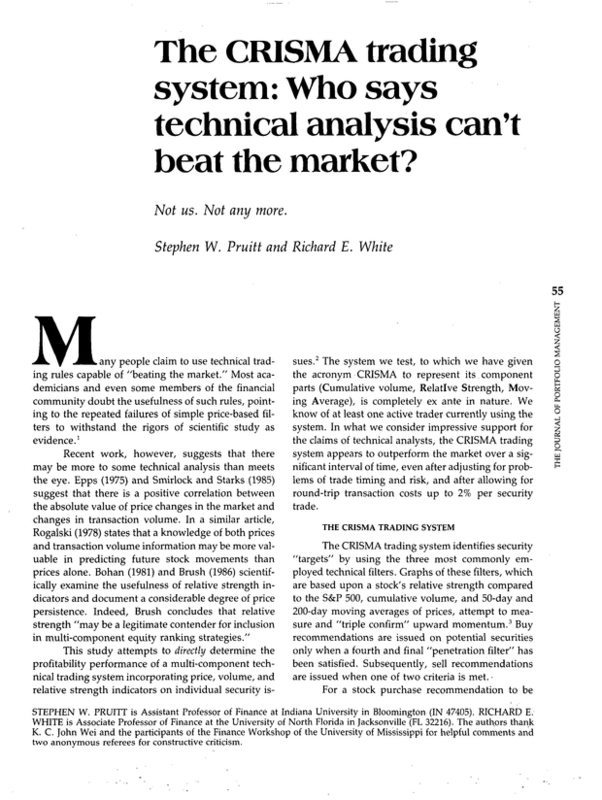 Who says technical analysis can't beat the market? Assistant Professor of Finance at Indiana University in Bloomington (IN 47405). Associate Professor of Finance at the University of North Florida in Jacksonville (FL 32216).